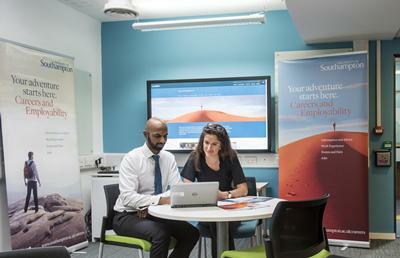 The Excel Southampton Internship Programme specialises in providing support, for large corporations, local and national SMEs and public and third sector organisations, seeking to recruit students for internships throughout the year. Since it began in 2009 the programme has rapidly expanded, with over 500 internships filled in 2017/18. We are seeking internships across all business sectors, working with organisations of various sizes. Whether you’re a small start-up looking to hire your first intern, a third sector organisation requiring extra resource, or a seasoned graduate recruiter, we have the expertise to guide and support you through the process. *NB - All term-time internships must be part-time. Full-time internships are the equivalent of 35 working hours per week. Please see our Employer Handbook for further details on eligibility. 2. Register your organisation on MyCareer and post your internship to the Excel Southampton Internship Programme found in the 'Excel Southampton Internships' tab at the top of the homepage. If attempting to post before your organisation has been approved, please select 'Post New Work Experience & Volunteering role. Please read the 'How to post an opportunity to the Excel Southampton Internship Programme' section of our MyCareer Employer Guide for detailed instructions of how to register and post your opportunity. Please note: internships will be unable to commence until a signed and completed Internship Agreement has been returned. For more information about our terms and conditions please read our Employer Handbook found in ‘Useful Downloads’ below. For more information contact Employ@southampton.ac.uk or call 023 8059 3501.